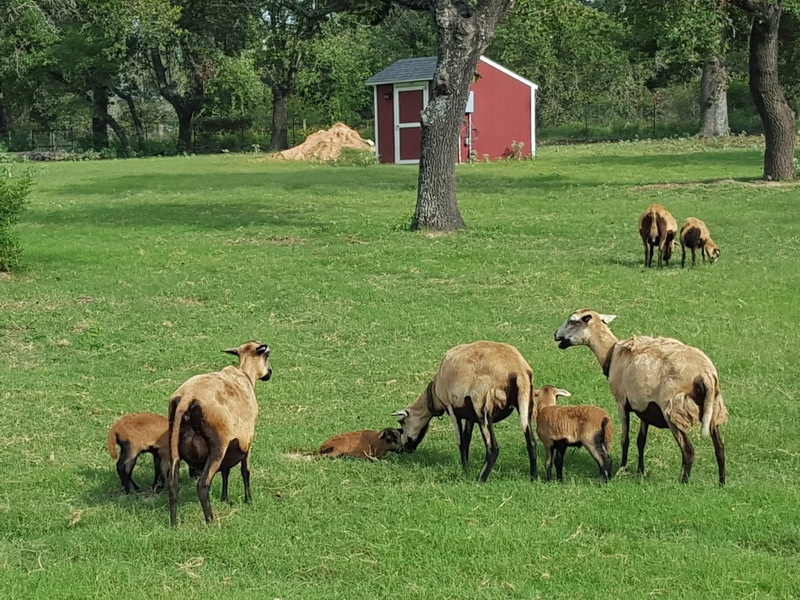 BREEDING PROGRAM at Zoar Farms -- There are three methods of breeding to consider when working with such a relatively small gene pool, as is the case with the Barbados Blackbelly. There is in-breeding, line-breeding and line-crossing breeding. In-breeding is mating together animals which have a common ancestor on both the dam and sire side of the pedigree. Line-breeding is the concentrated mating of one particularly desired animal within a pedigree, and Line-crossing is the mating together of one or more animals in a particular line with those of one or more animals of another line. All of these methods are employed at Zoar Farms. For a detailed report on different types of breeding, go here. LIMITATIONS AND REALITY -- It must be remembered that we have two unavoidable issues with the Barbados Blackbelly. First, the registry is closed. There are only so many sheep available in the gene pool. 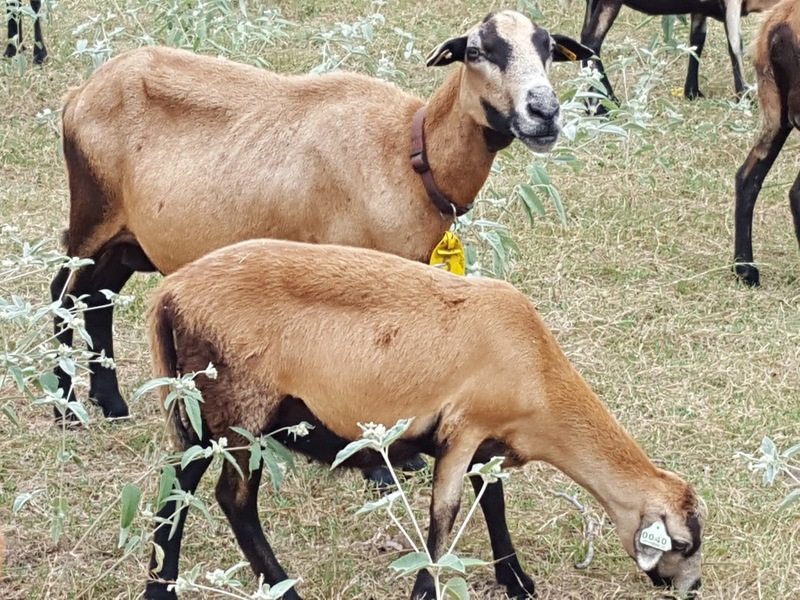 Only two registered Barbados Blackbellies can render a sheep able to be registered. Second, only a limited number of sheep were ever imported into the United States. 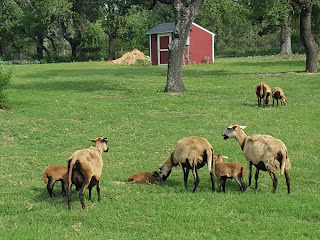 For example, the sheep which came out of the research program at Virginia State University (VSU), --which were imported from the University of the (U.S.) Virgin Islands (UVI) -- shows that a small number of rams appear in multiple pedigrees. Rams named VSU731 aka UVI8158 and VSU732 aka UVI8172 are both found over and over again, in multiple pedigrees of the sheep made available to breeders some 20-25 years ago. Other rams which appear often are VSU2414 and those from the North Carolina State University research program such as NC92073 and NC94107. Fortunately, these close relations are less dangerous for sheep than they would be in a human gene pool with such little variety! EFFORT NEEDED -- One of the main reasons I chose the Barbados Blackbelly breed was because it was on a "watch list" when I began, meaning that there was some danger of the breed disappearing from the American farm landscape. The Livestock Conservancy keeps track of all heritage breeds in North America. The breed has since moved to the "recovering" list, which is good news. Another reason was that it's a particular breed found primarily in North America. Sure, it would have been a lot easier to buy a herd of sheep (or goats for that matter), fatten them up, breed them, and sell them at a profit. If you're looking for that quick sale and fast turn-around, the Barbados Blackbelly is not for you. Records must be kept. Pedigrees must be consulted. You must have a dedicated breeding program with a sound strategy in mind, and you must have patience in achieving it. Disasters do happen! 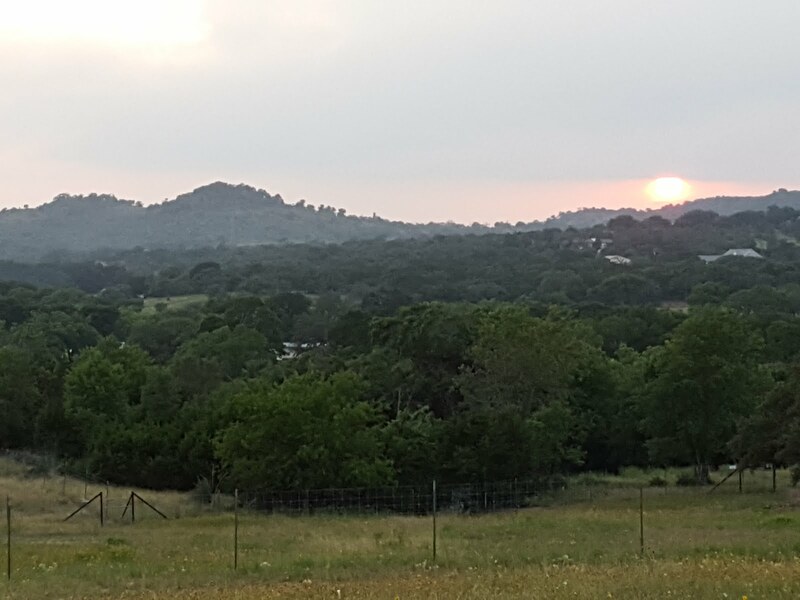 Before Zoar Farms moved to Kerr County in the Texas Hill Country, about an hour northwest of San Antonio, the farm was located in Atascosa County, about 30 minutes' drive south of downtown San Antonio. The counties couldn't be more different: soils, grasses -- and roaming dog packs. On two occasions, feral dog packs hit my herd, destroying 20 ewes, bringing my number down to only 14 ewes. It was a senseless slaughter that set my breeding program back years. All but two of the yearlings were killed. My genetic lines, in some cases, are down to one or two animals. It was a painful experience. Another challenge is that for the last three years, ram lambs have been born on a 3:1 ratio with ewes. It's difficult to plan long-term with those odds. So patience is the first virtue, endurance is the next. DAE Roxy P. Rosenstein, a daughter of Saint Phillip VSU, produced two beautiful single-birthed lambs for me in the short time she was on the farm. Her ewe lamb (pictured along side her) was slaughtered with her by a pack of dogs, along with 18 other ewes in two nights of terror. 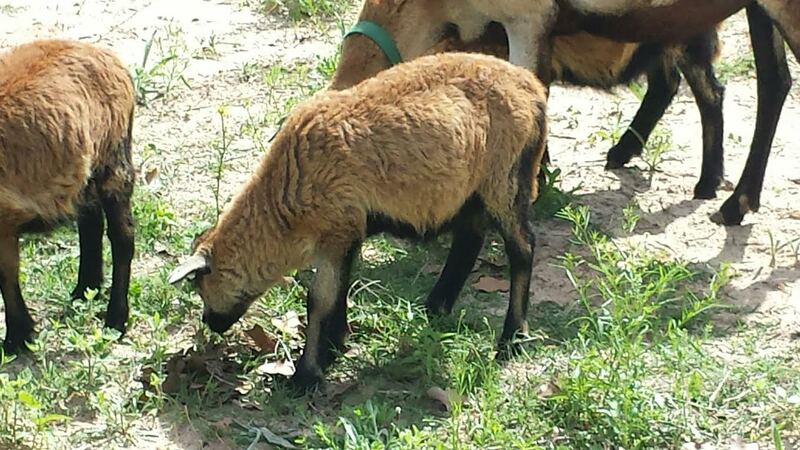 Her ram lamb, ZOR Nero Claudius, is still on the farm and ready to enter into the breeding program. At least her genetics were not lost entirely. Roxy had the farm tag of #5, with a red collar, which noted she was in the line of Saint Phillip VSU. She'd eat from my hand and let me scratch her head. She was the lead gal for the ewe herd and moving the others were so easy: Roxy always followed me. From the appearance of how the carcasses were found after the last attack, she was the first to die, no doubt out in the lead facing the danger which came under the fences. She is missed!